SAN FRANCISCO — There is no demo day in this startup accelerator. The entire six-month period startups go through at Wells Fargo’s new accelerator program is essentially a try-out to convince the 162-year-old bank’s decision-makers that they should buy the startups’ products. “The whole thing is a demo, in essence,” Braden More, senior vice president of enterprise payment strategy at the bank, told VentureBeat. The bank formally announced the program today. The lack of a demo day is just the first thing that makes this accelerator distinct from the scores of others in the United States that big companies or tiny groups of people run. The Wells Fargo accelerator even stands out from existing programs at the Bank of Ireland, Barclays, Silicon Valley Bank, and other financial institutions. If it’s successful, other banks might well start working with startups in the same way Wells Fargo does. Maybe even non-bank accelerators will want to take note. It’s a model worth giving some thought to, because of the payoff for the startups and the bank. The first thing to know is that San Francisco-based Wells Fargo isn’t looking to find candidates for initial public offerings. And it’s not trying to position itself to cash in on big exits. The thing More and his colleagues want is new stuff, innovation, improvements, or whatever you want to call it — even if they might not know yet what they want until some startup shows it to them. For instance, the team leapt at the chance to work with EyeVerify, a startup that allows customers and employees to log in to services by pointing their smartphone camera at their eye. The blood vessels in the whites of your eyes provide enough information to authenticate you. The voice-enabled mobile service from Kasisto, the latest spinoff from SRI International — where Apple’s Siri got its birth — was just right for the new program, too. “We’ve been thinking about voice for four or five years, and I’m not going to give up on it,” said Steve Ellis, executive vice president and head of wholesale services at the bank. And preventing fraud intelligently remains a focus as well. Zumigo, another participant in the program, picks up on the location of a person’s phone and other devices before permitting a transaction to go through. It’s an example of big data hard at work to solve a longstanding problem, More said. Altogether, the official establishment of the program really just formalizes ongoing activity, More said. Bipin Sahni, senior vice president of innovation and research and development at the bank, has been providing counsel to tech startups for years. “We’ve always been looking for something — what’s new, what’s next,” Sahni said. And with so many startups around now, the program has a lot of candidates to choose from. “It’s the most exciting time since ’99 — that’s what I would say,” Ellis said. Looking beyond the three initial “beta” participants in the accelerator, Wells Fargo intends to work with 10 to 20 startups in each six-month batch. 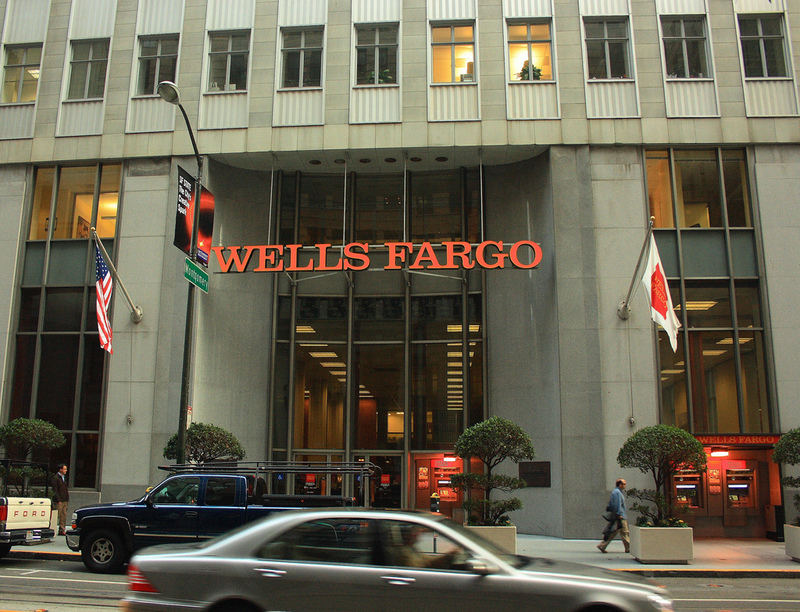 On-site occupation of Wells Fargo office space is not required. An executive from the bank sponsors and works closely with each participating startup. Wells Fargo invests between $50,000 and $500,000 in each one. But perhaps the bigger payoff is the chance of turning Wells Fargo into a paying customer. The Wells Fargo name could look great on an early-stage startup’s customer list. And through this program, the bank is willing to do some serious hand-holding to get startups ready. “There’s a certain way you have to position your company in order to sell into the enterprise,” More said. Indeed, the chief executives of EyeVerify, Kasisto, and Zumigo don’t have that fresh-out-of-high-school look, unlike some of those at, say, Y Combinator’s latest demo day. They sound, well, refined, and worthy of the attention of a bank. So it does seem Wells executives have been working closely with them. Now they’ll have to cross their fingers and hope Wells Fargo buys in big and grabs the attention of other banks by initiating this accelerator. “We’re kind of focused on password pain,” Toby Rush, the startup’s founder and chief executive, told VentureBeat. “We’re transforming a picture of your eye into a key that protects your digital life, effectively eliminating the password.” Good luck with that. But at least the patented technology has a cool factor. Based on the work of Dr. Reza Derakhshani of the University of Missouri-Kansas City, EyeVerify performs “vein recognition” in a jiffy. Rush gazed at his smartphone, which vibrated as soon as it had determined that Rush was who he said he was. The veins the camera could pick up on in Rush’s eye — a much better bit of information for this task than the face, which can constantly change expression — amount to the equivalent of a 50-character complex password and promise 99.99 percent accuracy. Small wonder EyeVerify is announcing today a $5 million funding round, including the investment from Wells Fargo. Qihoo 360 and Sprint are also investing. Meanwhile, Wells Fargo is using the technology in internal and external pilots for employees and customers alike, Rush said. Recent reports have suggested that Apple and Google are pursuing personal digital assistants that could be helpful for business applications, but that hasn’t stopped Kasisto from chasing financial and commerce companies with its voice-recognition technology for smartphones. Co-founder and chief executive Zor Gorelov told VentureBeat that Kasisto has built up knowledge of the financial-services world, enabling it to know what to do when someone commands a phone to, say, “show me my last five wires.” And Kasisto can go back and forth depending on the situation. “I’d like to wire $100 million to American Express,” Gorelov told his phone. The idea, Gorelov said, is to go beyond voice banking and instead help people do things more quickly and easily. And the startup is now piloting the tool for banks’ retail businesses, where individuals have accounts. Kasisto announced today a $2.25 million seed round. New York Angels led the round, and Two Sigma Ventures, The Partnership Fund for New York City, the Harvard Business School Alumni Angels of New York, Larry Ng, and Cristóbal Conde also participated alongside the Wells Fargo accelerator. Location has become more and more important for messaging applications, ads, web search, and other applications. And Zumigo had the fine idea to use your device location to help authenticate you for commerce and banking transactions. It can perform that work no matter where you are in the world, unlike competitors that are limited to the United States, Zumigo founder and chief executive Chirag Bakshi told VentureBeat. The software checks to see how many miles away a phone is from a billing address, as well as how many miles a “purchasing device” is from that address. “We provide a score saying, ‘Hey, this looks risky. You might want to prevent it,'” Bakshi said. The startup has done pilots for its technology for financial institutions and big brands, Bakshi said, and is beginning to roll it out in production for a few customers. “At Wells Fargo, there are several different use cases and applications that they’ve evaluated and integrated with our technology with location and identity,” he said.